Victoria must build 3,000 public and community housing properties—the equivalent of a new Whittlesea—each year for the next decade to tackle the state’s out-of-control social housing waiting list. More than 82,000 Victorians are currently waiting to be housed in public or community housing. Unless the government takes action, many have no hope of getting off the waiting list and into a home. An alliance of housing and homelessness bodies, charities and social service organisations have today united to sign The Whittlesea Declaration; calling on the Victorian Government to build the equivalent of at least ‘one new Whittlesea’ each year to stop the list blowing out further. 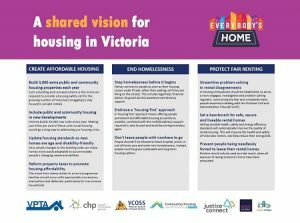 The Whittlesea Declaration forms part of the national Everybody’s Home campaign. “Victoria needs an ambitious social housing building program to provide a roof to those most in need,” the alliance says. Victoria has the lowest rate of social housing in Australia with just 3.5% of dwellings being social housing. This is despite greater Melbourne boasting nearly 200 hectares of government-owned land that could host 30,000 homes, according to University of Melbourne researchers. The Victorian Government’s own infrastructure advisory body, Infrastructure Victoria, has described the delivery of 30,000 new affordable dwellings over the next decade as “an achievable and significant response” to the state’s housing crisis. SET safe, secure and livable standards for rental homes. Signatories to The Whittlesea Declaration are the Council to Homeless Persons, the Victorian Council of Social Service, the Community Housing Industry Association Victoria, the Victorian Public Tenants Association, Tenants Victoria, Domestic Violence Victoria and Justice Connect. 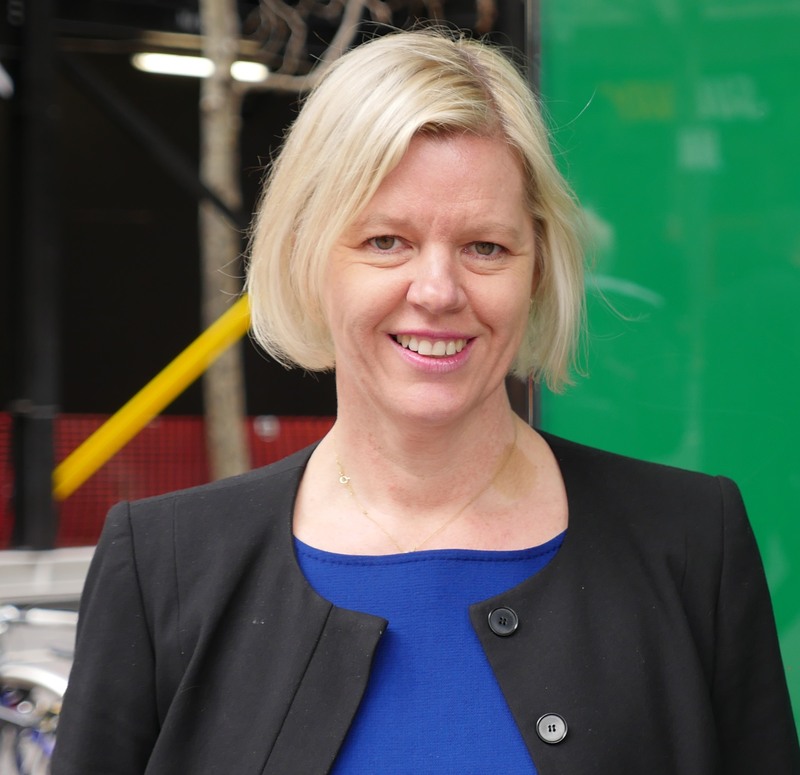 Hear from VCOSS CEO Emma King and social housing tenant, David. “Recent changes to tenancy law are welcome but we also need a robust supply of social housing as an alternative for low-income households for whom the private rental market remains insecure and unaffordable. Only stable and affordable social housing will enhance social and economic participation for these vulnerable Victorians. Ryan Sheales, VCOSS, 0418 127 153 or via email.